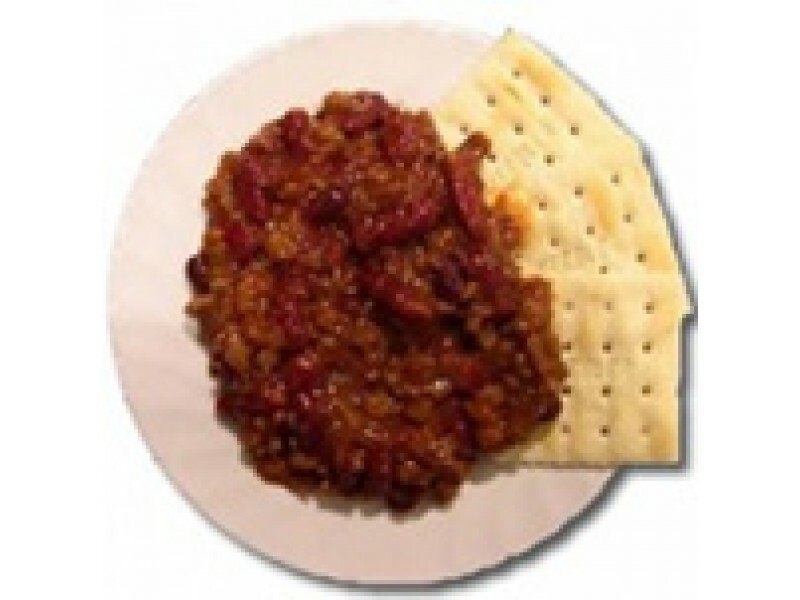 MRE Star Vegetarian Chili makes a hearty meal. It is tasty and filling, great for a day out in the cold, hunting, camping or hiking. It is also a great option for your emergency storage food bin and can also make a great meal at the end of a hard day’s work. 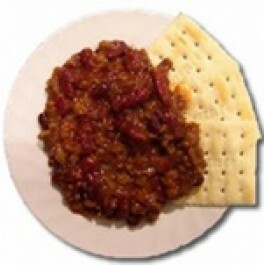 Our vegetarian chili is manufactured right here in the USA. The production plant is FDA approved. It is also FSIS and USDA approved. HACCP regulations for quality control are very strict. This food is manufactured under those very strict guidelines to ensure that the food is of the very best quality. Each one of these vegetarian meals comes in an 8 oz pouch. Small, but it packs a punch of flavor. You can easily throw the meal into your bag and carry it on your hiking, fishing or camping trip without having to worry about bulk. It is also easy to store either in a cupboard, basement, and storm shelter or anywhere else you might need it. You may also use it as part of your vegetarian chili recipe while cooking for the family. Many will agree that this is one of the best vegetarian chili packs out there. This makes the best help for an easy vegetarian chili recipe or for those who do not appreciate making food from scratch; it is the entire recipe for vegetarian chili. The MRE overall seems to be of good quality. I'd be willing to pay a little bit more (and increase the number of stars) if they didn't use palm oil (hard on the human digestive system). The high sodium content concerns me a little as well (a little because i don't eat it every day). The beans were whole (i was concerned they might have gotten smashed during handling), the flavor was good (reduce the sodium by adding a touch of heat). The ingredients list included textured vegetable protein which did a pretty good job of resembling hamburger meat.